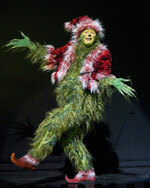 Kevin Bailey as the “Grinch” in The Old Globe’s 2007 production of Dr. Seuss’ How The Grinch Stole Christmas!, book and lyrics by Timothy Mason; music by Mel Marvin; directed by Benjamin Endsley Klein (based on the original concept and direction by Jack O’Brien); playing in the Old Globe Theatre Nov 25 – Dec 30; Photo by Craig Schwartz. 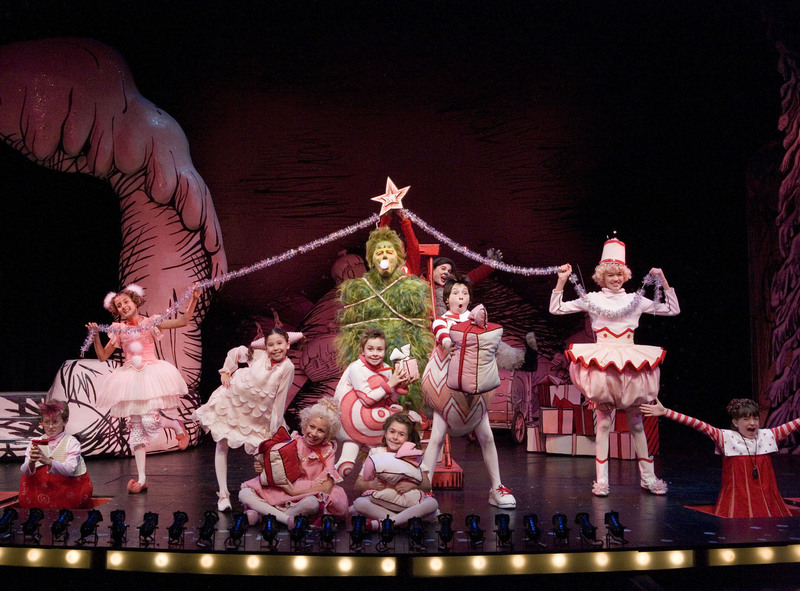 The cast of The Old Globe’s 2007 production of Dr. Seuss’ How The Grinch Stole Christmas!, book and lyrics by Timothy Mason; music by Mel Marvin; directed by Benjamin Endsley Klein (based on the original concept and direction by Jack O’Brien); playing in the Old Globe Theatre Nov 25 – Dec 30 Photo by Craig Schwartz. 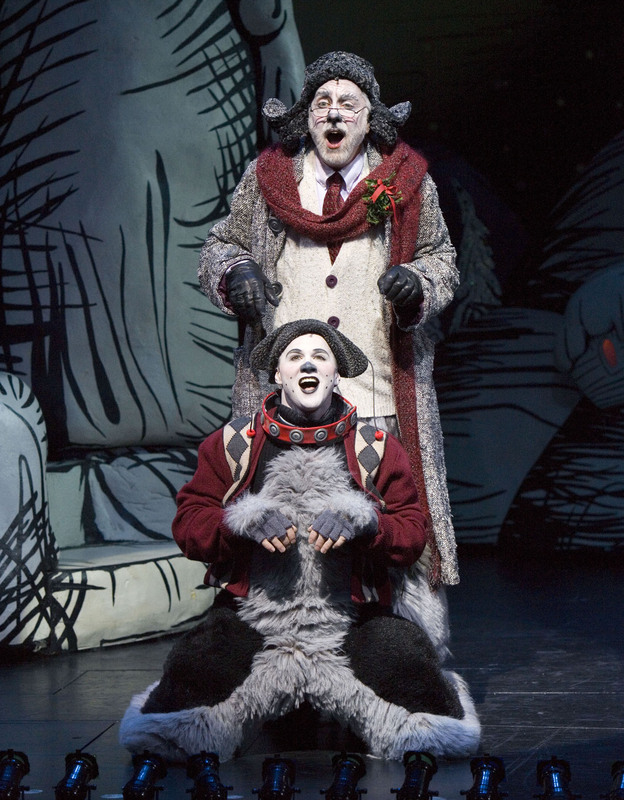 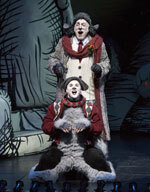 Martin Van Treuren as “Old Max” (standing) and James Royce Edwards as “Young Max” in The Old Globe’s 2007 production of Dr. Seuss’ How The Grinch Stole Christmas!, book and lyrics by Timothy Mason; music by Mel Marvin; directed by Benjamin Endsley Klein (based on the original concept and direction by Jack O’Brien); playing in the Old Globe Theatre Nov 25 – Dec 30; Photo by Craig Schwartz. 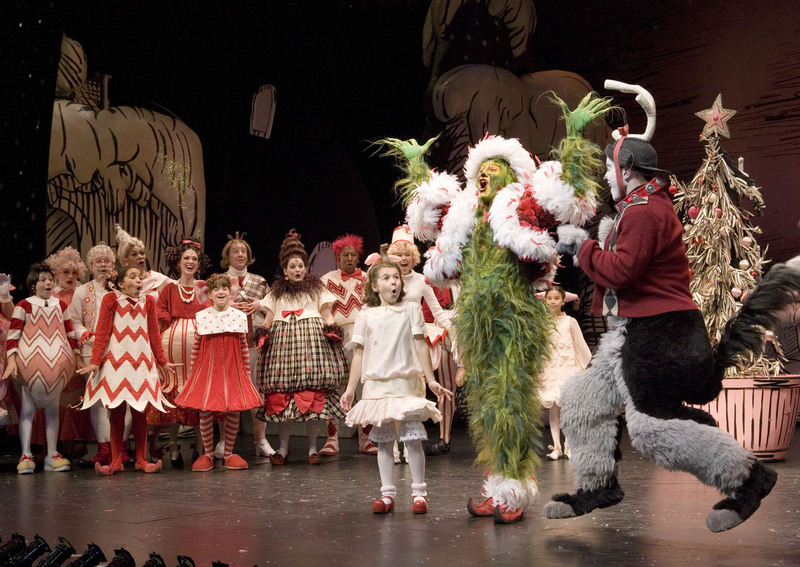 Kevin Bailey as the “Grinch” (center) with the Who Children in The Old Globe’s 2007 production of Dr. Seuss’ How The Grinch Stole Christmas!, book and lyrics by Timothy Mason; music by Mel Marvin; directed by Benjamin Endsley Klein (based on the original concept and direction by Jack O’Brien); playing in the Old Globe Theatre Nov 25 – Dec 30; Photo by Craig Schwartz. 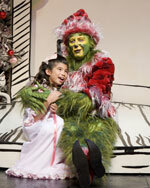 Skylar Starrs Siben as “Cindy-Lou Who” (Red Cast) and Kevin Bailey as the “Grinch” in The Old Globe’s 2007 production of Dr. Seuss’ How The Grinch Stole Christmas!, book and lyrics by Timothy Mason; music by Mel Marvin; directed by Benjamin Endsley Klein (based on the original concept and direction by Jack O’Brien); playing in the Old Globe Theatre Nov 25 – Dec 30; Photo by Craig Schwartz. 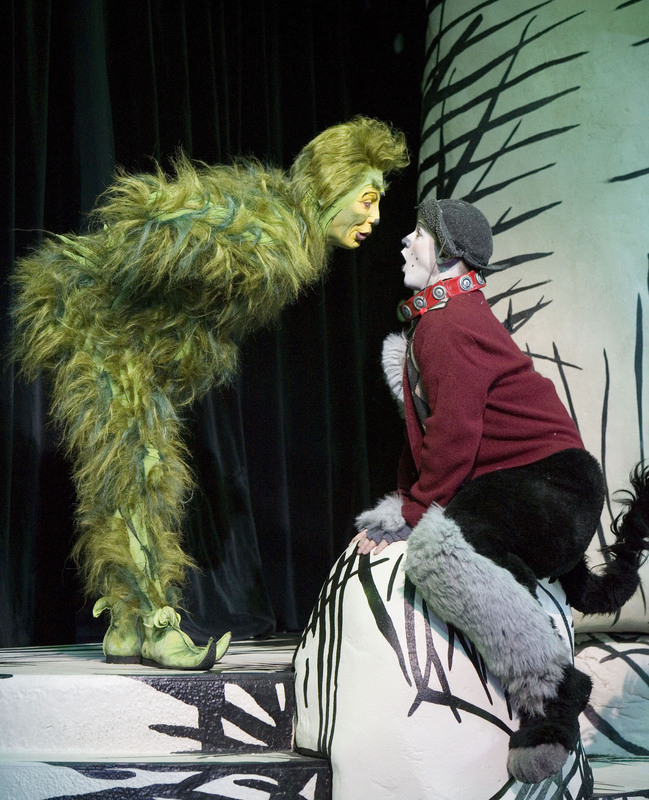 Kevin Bailey as the “Grinch” and James Royce Edwards as “Young Max” in The Old Globe’s 2007 production of Dr. Seuss’ How The Grinch Stole Christmas!, book and lyrics by Timothy Mason; music by Mel Marvin; directed by Benjamin Endsley Klein (based on the original concept and direction by Jack O’Brien); playing in the Old Globe Theatre Nov 25 – Dec 30; Photo by Craig Schwartz. 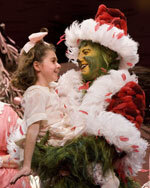 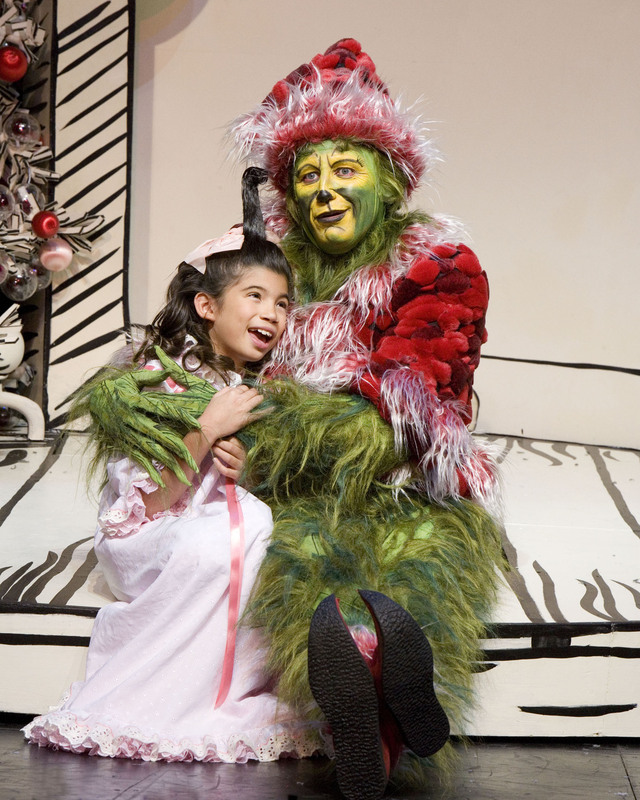 Gaby Greenwald as “Cindy-Lou Who” (White Cast) and Kevin Bailey as the “Grinch” in The Old Globe’s 2007 production of Dr. Seuss’ How The Grinch Stole Christmas!, book and lyrics by Timothy Mason; music by Mel Marvin; directed by Benjamin Endsley Klein (based on the original concept and direction by Jack O’Brien); playing in the Old Globe Theatre Nov 25 – Dec 30; Photo by Craig Schwartz. 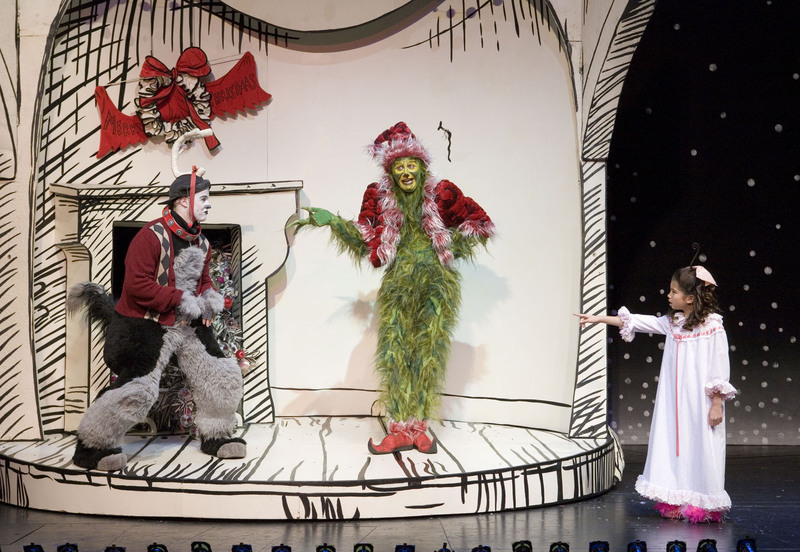 James Royce Edwards as “Young Max,” Kevin Bailey as the “Grinch” and Gaby Greenwald as “Cindy-Lou Who” (White Cast) in The Old Globe’s 2007 production of Dr. Seuss’ How The Grinch Stole Christmas!, book and lyrics by Timothy Mason; music by Mel Marvin; directed by Benjamin Endsley Klein (based on the original concept and direction by Jack O’Brien); playing in the Old Globe Theatre Nov 25 – Dec 30; Photo by Craig Schwartz.